Popping the question this Christmas? You’ll be in good company. While couples get engaged at all times of the year proposals have always been more popular at Christmas and New Year. A proposal used to be a private affair just between the couple. At most, it was shared with a few bemused onlookers if the proposer decided to ask ‘will you marry me?’ at the cliffs of Moher or – a lot more onlookers – in the Gravity Bar at the Guinness Storehouse. But, in this age of social media, proposals have gone public, gone large and gone straight to video for sharing. So now there’s a ‘story’. But, whether you stay private or go for that big, choreographed, public declaration, you’ll still need the ring. And, if you’re a man, the chances are that you’ve never bought an expensive ring before. ‘Most of the men who come in on their own before Christmas to us have never bought a ring before and most will never buy one again,’ says Martin Commins from Bespoke Diamonds. And yet all of them want their other half to absolutely love the ring which will stay on their hand for the rest of their life. Of course, men who are not confident buying the ring on their own but still want one for the proposal can avoid the issue altogether by proposing with a token or ‘promise’ ring costing only a few euros, instead. 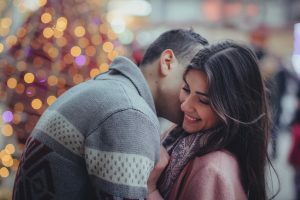 Whip out the promise ring, say the four magic words that, fingers crossed, she or he is longing to hear, and if you get a ‘yes’ then you can both shop together for the ‘real’ engagement ring in the New Year. 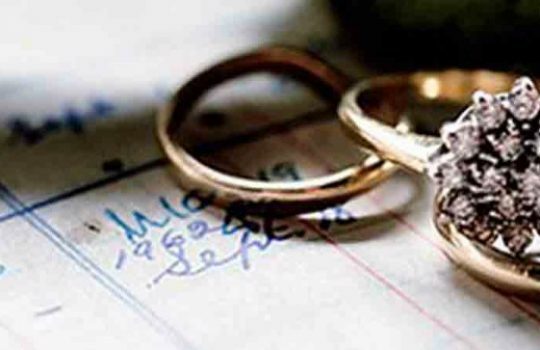 But, despite the possibility of using a ‘promise’ ring, the number of men who buy the ring on their own is actually rising not falling, according to Martin Commins. ‘5 years ago, it was a couple coming in together to buy the ring 70% of the time. Now it’s roughly 50% couples and 50% men on their own,’ he says. But that is not without its challenges. Men take three different approaches when buying the ring on their own. ‘Some men would look at a whole range of rings and prices on our website, find a ring they like, come in, see it, like it, and buy it. Happy days,’ says Martin. We’ll call this first group of men the ‘doers’. Then there are men who want would look into all the available information in some detail before making a choice. We’ll call them the ‘detailers’. But not everybody is like that. There’s a third group which we might call the ‘disbelievers’. ‘Other guys will say ‘I just don’t get it, it’s a sparkly stone, what’s wrong with this one that’s 2 euro?’ says Martin. There are options for disbelievers who like the look of a diamond but don’t want to pay the price. Man-made diamonds, for instance, can be considerably cheaper. However, there have been a few occasions when men have chosen the ring as if they were buying it for themselves to wear. By changing just one or two characteristics of a diamond you could add ten or twenty thousand to the price for something that, to the naked eye, you might not be able to see the difference. ‘If you need a microscope to see a difference in the stone then leave it,’ advises Martin. Do you need to know the finger size to buy a ring? There’s plenty of advice out there for men looking to find out their partner’s ring finger size – from quietly borrowing an existing ring to secretly making an impression of a ring in a bar of soap. However, if you’re proposing to a woman, there’s some good news. 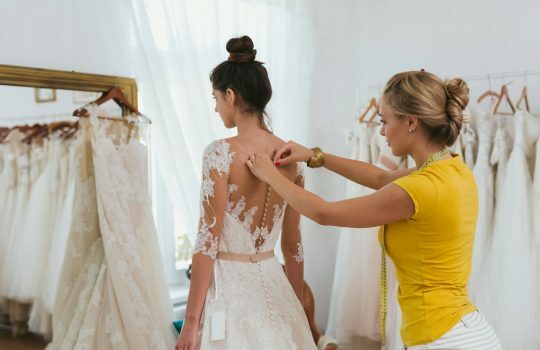 70% of women are within the same range of finger sizes – known as K, L & M – so knowing the precise finger size of the bride-to-be while helpful isn’t essential. A ring can be sized within a few days so it isn’t that big deal as long as you are there or thereabouts. But what if she doesn’t like it? 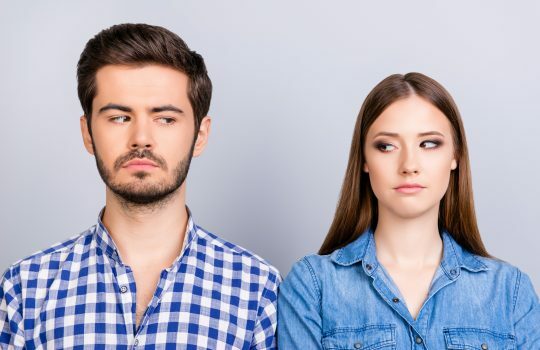 When men choose an engagement ring on their own there’s always the thought in the back of their mind: ‘what if she doesn’t like it?’ (This may be on their partner’s mind too). As long as the ring is unworn, Martin says, he will exchange it. He advises men to always ask the jeweller if they can bring back the ring if she doesn’t like it. What if she’s told you she really doesn’t like diamonds? If you’re absolutely sure that your partner does not like diamonds because she’s actually said the words ‘I don’t like diamonds’ then there are alternatives. Rather than go for your classic diamond ring, some couples look at gemstones. Morganites, for instance, gemstones with a pinky hue, can be very attractive, while sapphires are also popular. If it is important to you and your partner to know where the diamond has been sourced then ask your jeweller if it has been sourced in accordance with the Kimberly Process certification system which is the best guarantee of ethical sourcing. Having got the ring sorted, you might choose to impress your future spouse by going for a big proposal backed by a personal story. The sort of thing that gets shared on social media (for all the right reasons). ‘I’m expecting to see more and more original wedding proposals, this Christmas,’ says Sara Kennedy of Irish Wedding Blog. It’s best to know some of the basics but don’t overdo it. If you’re going to a reputable jeweller then they can advise you. In the end of the day it is still just a ring. There are plenty of choices for all different budgets so there’s no point getting out of your financial comfort zone. Does your partner wear a lot of jewellery or very little? Do they wear silver or gold? Having some idea of their jewellery preferences can be helpful. Whether it’s buying an engagement ring, paying for a wedding or moving in to a new house with your partner a Bank of Ireland GoalSaver Account can help you save for it and you might win a €5,000 savings boost.